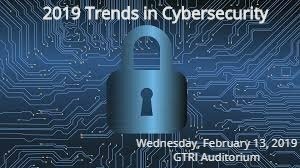 In partnership with TechOperators and GTRI, The MIT Enterprise Forum is convening its annual Cybersecurity event to look back at lessons learned in 2018 and consider the challenges ahead of us. As the cybersecurity market grows relentlessly, cybersecurity topics color our politics, consumer rights, the regulatory environment and even popular culture. In 2018, venture investments in cybersecurity companies increased to an all-time high of $5.3 billion—and Gartner projects $125 billion in global cybersecurity spending in 2019. Join us for an evening with our panel of distinguished senior cybersecurity leaders, technologists and investors for a sweeping conversation about the state of cybersecurity and our path forward. What does security look like in a cloud-native world? Will security spending continue to increase? What does security look like from the inside? What is “privacy” in the age of big data? Due to our sponsorship with GTRI, registration is free for Georgia Tech students. However, interested students must pre-register by sending an email to our Director of Operations, Kelly Lamb, kelly@mitefatlanta.org.